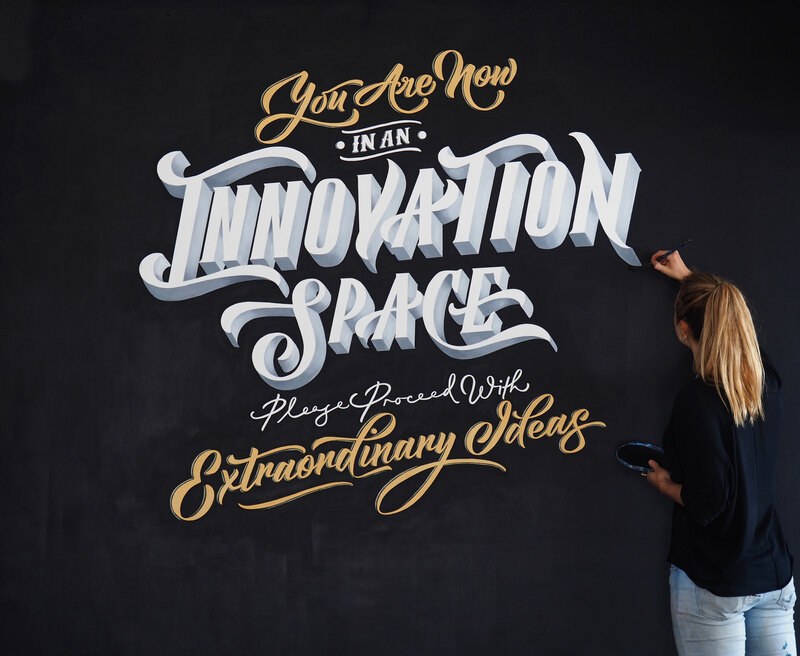 Typographic mural by Alicia McFadzean for Inospace creative hub, Cape Town. Mural commission for a new Inospace (creative hub) in Ndabeni, Cape Town. Interior design for the entire space is by Laura Kay Design.